Minecraft is a very popular game. Star Wars is a very popular series of movies. It was really only a matter of time, then, before the two properties were combined into one guaranteed moneymaker. 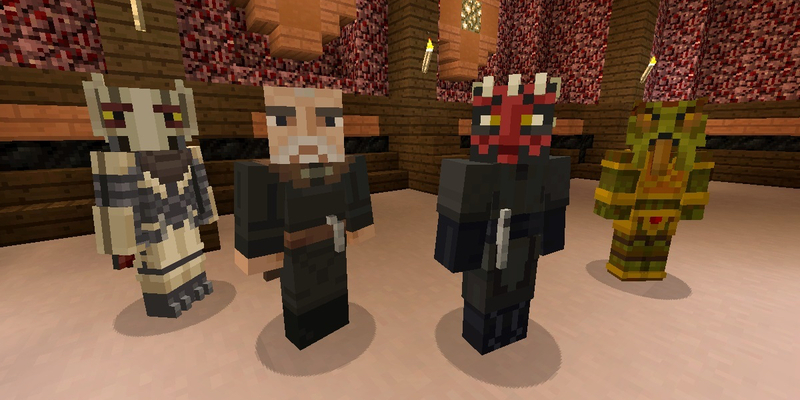 With two packs of Star Wars skins having already been released for Minecraft: Console Editions, there is now a third pack in the mix that includes characters from the oft-maligned prequels. The new pack is available on all consoles for the microtransactional price of $2.99. For that small amount of coin, buyers get a bevy of characters both popular and obscure, ranging from series stalwarts such as Anakin Skywalker and Obi-Wan Kenobi to more hilariously named characters such as Poggle the Lesser and Kit Fisto. One notable character from the prequels seems to be absent, though: Jar Jar Binks, the embodiment of everything Star Wars fans lamented about episodes I through III. Was he left out to avoid controversy, or just because the programmers couldn’t figure out how render his floppy ears as pixelated blocks? Either way, Star Wars fans won’t have blocky Jar Jar to kick around. It’s worth noting that these skin packs are for the console versions of the game only. 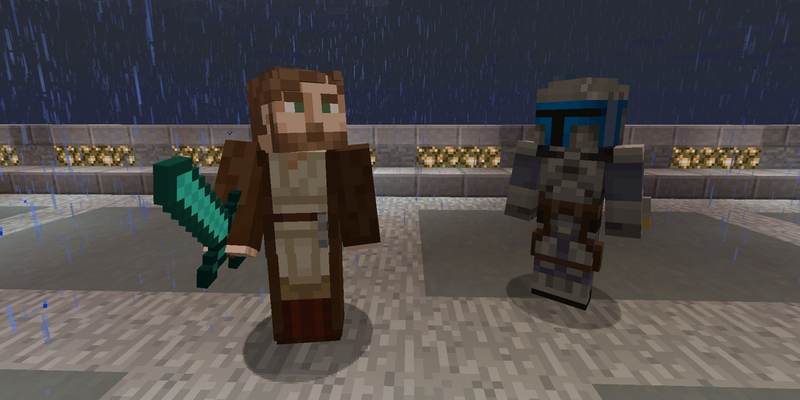 Players of the PC or mobile versions are out of luck, although PC players only have to do a Google search for “Minecraft Star Wars mod” to find all sorts of fun ways to bring the movies to their game of choice. Maybe some of those mods even include Jar Jar Binks, for those who might want to put him in a cage on a remote island surrounded by zombies or something like that. Is the $2.99 a solid investment or another attempt to milk Minecraft players for all they’re worth? Maybe a little of both, depending on how much you want Pilot Battle Droids patrolling the hallways of your blocky castle, while Queen Amidala awaits you on a bed made of chickens. One’s imagination is the only limitation when it comes to the silly things one can do with licensed characters in Minecraft. 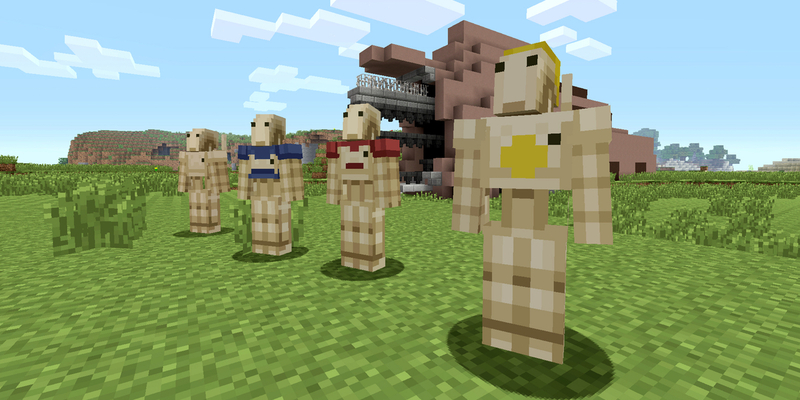 The Minecraft Star Wars Prequel Skin Pack is available now for all console versions of the game.